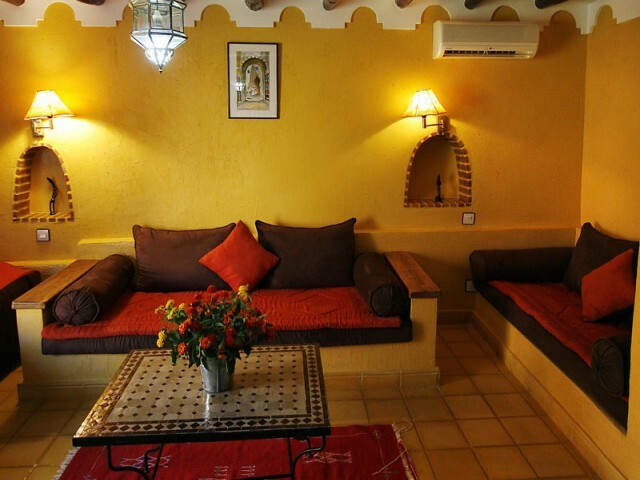 Marrakech just 15 minutes from the bustle of the famous Djemaa el Fna, quiet legendary Ourika valley where the villa is located TATA MARIE at the foot of the Atlas Mountains. Combination of comfort and oriental refinement, Villa Tata Marie appears in the heart of a lush garden. 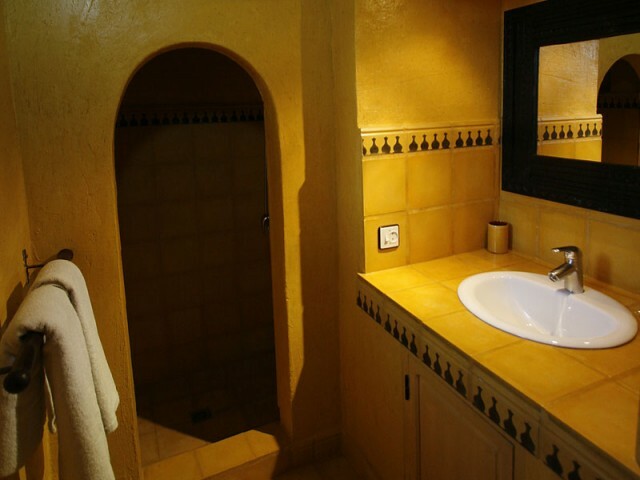 For your accommodation in traditional adobe buildings three suites and three rooms with different tones delicately scented with air conditioning, safe, housekeeper, caretaker gardeners. Here, no obligation, is a proposal for the success of your stay. Restoration on demand. You will experience extraordinary moments in an enchanting setting. the owners will be there to welcome you. Family atmosphere and friendliness. Traditional cob construction, independent on two levelswith privative terrace giving on the garden.On the first floor, your disposal a large room equipped d' a bed doubles a balcony with sight on l' atlas.Rez of fitted includes/understands a small room equipped with two individual bedsa living room with chimney, WC with lava hands. The continuation damaskina name of the famous pink scented of the valley of made up Dadés d' a room equipped d' a double beda living room or is an individual bed, idéle for a couple with a child bathroom with shower WCSurface of 25m ? Truths continuation in tonalitée lives, made up d' a room equipped d' a bed doubles a living room or is an individual bed, a bathroom with shower WC,surface of 22m ? 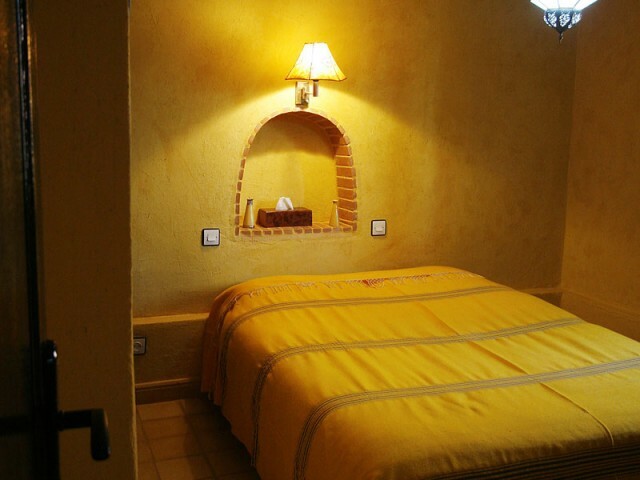 Room Amber light gray tone sleeping 160, duvet, dressing room, safe, equipped with reversible air conditioning, bathroom with dry towels, a nice private terrace with garden views.Non-smoking room. You will discover a tasty kitchen, coloured d' aromatic spices and plants. Bread, jams, crépes, fresh fruit juice, oil d' olive are house. 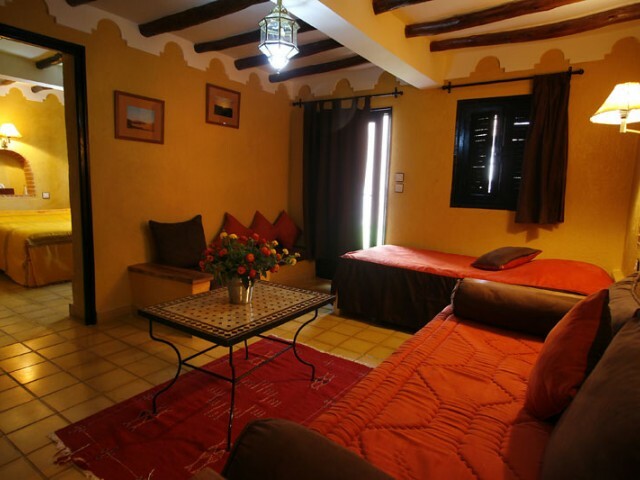 You will also discover the secrecies and beauty of the city, but also of the countryside and the close mountain, the valley of l' ourika for your given again, Souks of city and countryside, craft industry, landscapes, villages Berber. We advise you and organize your activities and leisures according to your desires. prepared with fresh produce of the market. composed d' one entered, tagine or couscous, serve, a whole of savours different each day.